All our partner sites are independently reviewed by our team of industry experts. We examine 10 different criteria and award a score out of 10 for each, adding up to a final mark out of 100. You can read a full description of our Sky Vegas Casino review process here. Sky Vegas Casino received a score of 92/100. Of course, a brand like Sky needs no introduction. Sky Vegas is part of Sky Betting and Gaming, the British-based online gambling arm of Rupert Murdoch’s media mega-corporation. The business is based in Leeds, Yorkshire, and since 2014 has been 80%-owned by CVC Capital Partners, a private-equity firm. Sky retained the remaining 20% of the business after a licensing agreement was reached. Sky Vegas sits alongside the other brands in the Sky Betting and Gaming group – Sky Casino, Sky Bet, Sky Poker and Sky Bingo. In a market awash with new casino brands, most of whom you will never have heard of before, the strength of Sky is surely in the name you can trust and know will not disappear any time soon (if ever!). Whilst Sky is not primarily a betting brand – it’s TV and media empire are its first concern – it is still a big, big hitter in this industry. And this is reflected in the offering at Sky Vegas. 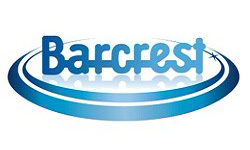 The vast catalogue of games, with the likes of IGT, Barcrest, WMS, NetEnt and Playtech all contributing, plus a superb promotional set up – including a highly competitive £10 free welcome offer – make this a casino experience not to be missed. You can join right now and take advantage of the generous Sky Vegas welcome bonus, and get ready to play on any device, including the Sky Vegas app for mobile players. Or read on for our full Sky Vegas Casino review, with more information. 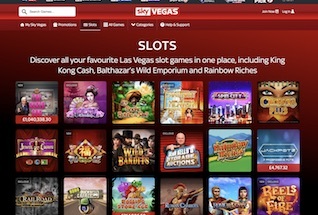 The welcome package at Sky Vegas generously gives new customers the chance to play for free without depositing, before adding a 400% match bonus to the first deposit made at the site. 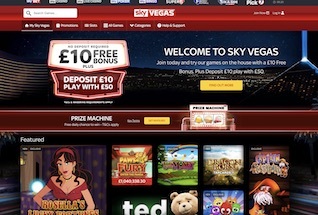 The £10 Free Sky Vegas Welcome Bonus will be credited to your account immediately on registration. It is available to play on all games on the site, with the exception of Super Monopoly Money. There is a 20x wagering requirement associated with this offer, and table games contribute only 10% towards that target. After an amount equivalent to 20x the bonus has been wagered, the bonus and any winnings become withdrawable. Further to the £10 freeplay bonus is a 400% deposit bonus available to players who make a deposit of £10 or more – giving an additional £40 to play with. In this case, a wagering requirement of 40x is applied to the bonus AND the deposit amount. This must be met before any withdrawal of the bonus or winnings can be made. Once again, table games only count 10% towards the target wagering. This is a very good and competitive bonus, giving you the chance to try Sky Vegas for free before diving in with your first deposit. A 400% match on your first deposit is also a rare treat, so we recommend this one. What Games Can I Play at Sky Vegas? At Sky Vegas you are treated to a wide selection of games from the world’s best casino games suppliers. Pretty much any big name you would care to mention is here. 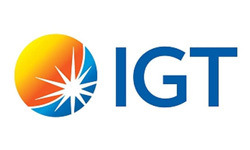 Try slots for titles from the likes of NetEnt – Gonzo’s Quest, Twin Spin, Spinata Grande and Wonky Wabbits; IGT – Pixies of the Forest, Wolf Run, Siberian Storm and Family Guy; WMS – Amazon Queen, Zeus III and and Raging Rhino. Or massive progressives like Genie Jackpots, the Mega Jackpot series from IGT (Wolf Run, Cleopatra and Siberian Storm) and many more – over 50 in all at the last count. There is also a decent selection of table games to choose from – including Roulette, Blackjack, Caribbean Stud, 3 Card Brag, and more. Sky Vegas players can enjoy a great selection of Live Casino games at Sky Casino – so that includes Roulette, Blackjack, Baccarat and Casino Hold Em. £5,000 Weekly Prize Draw: Stake £10 on any Monopoly game and get one entry into the prize draw. Sky Vegas Prize Machine: Get a free spin of the prize machine daily for the chance to win cash, scrathcards, free bets, free spins and more. Remember, at Sky Vegas you must opt in to promotions for your chance to take part. Sky Bet Vegas has an excellent reputation for processing payments quickly. However, they are limited in which methods they accept. These are: Visa, Meastro, Mastercard, Apple Pay and Paypal. Payments back to credit and debit cards are processed in a matter of hours. The Sky Vegas website is easy to use and you will find your way around it very quickly. All your favourite games are within easy reach from the top menu, and the important functions of registration, log in, account and customer support are also all just one click away. As you would expect from a company as big as Sky, the website for their Vegas site is compatible on all devices. There is also a mobile app that can be used to access all the games available on the main site. The Sky Vegas team are available to help with your queries 365 days of the year. Through their Help section, which includes a strong FAQ list, you can reach the team on live chat, email or phone. Sky Vegas is licensed in the UK and by the Alderney Gambling Control Commission. This ensures that the company adheres to strict rules on fairness, security and trust with regards to customer data, financial and game transactions.